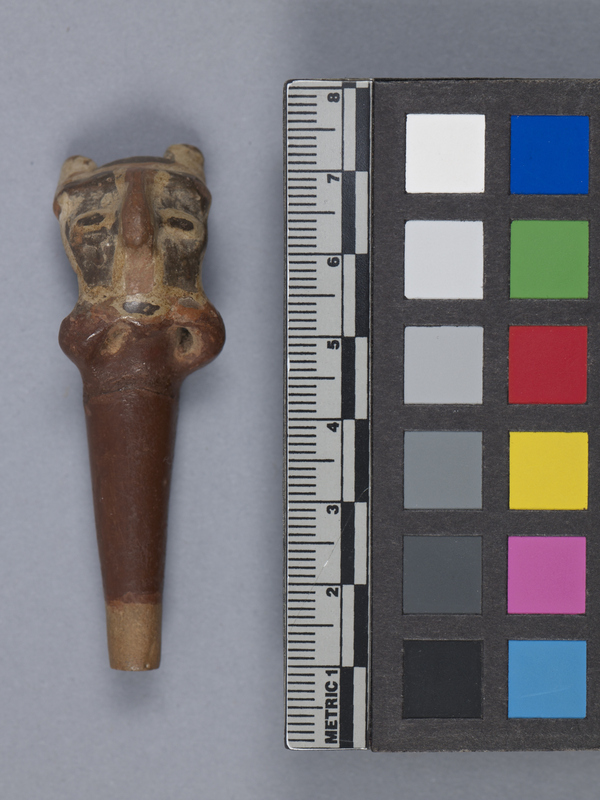 Item number 2990/641 from the MOA: University of British Columbia. 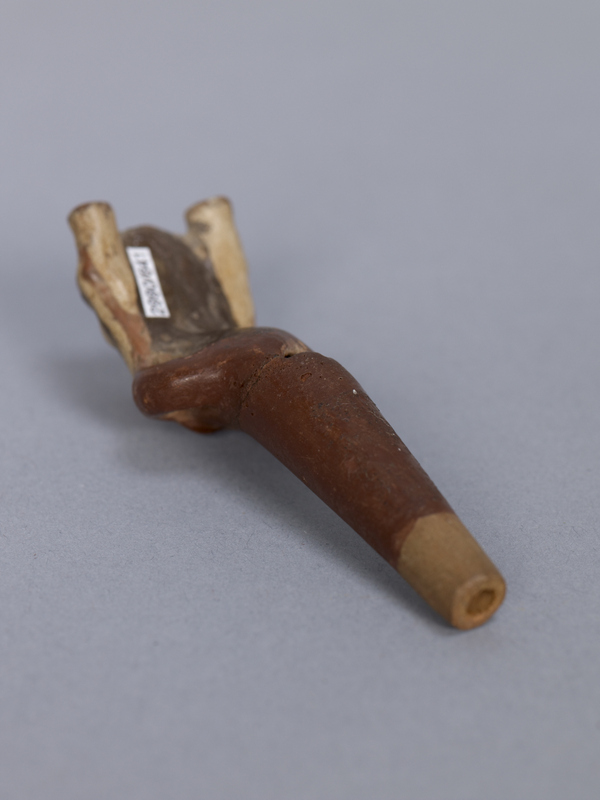 Red-brown single tone whistle with fox figure decoration. Prominent nose, elongated eyes, hands to jaw; head is black and cream coloured. Loops for suspension below head. Undecorated mouthpiece. Hand-built and partially polished surface. Breakage repaired.